There is pulp fiction, which we read to be entertained and sometimes become the stuff of our day dreams. It’s just for fun. Then there’s the intelligently written pieces, which we read and we walk away feeling as though we have learned something. As if we have made some discovery. And then there are the philosophical pieces. And in my opinion, these are the deepest and most powerful pieces. The books we read that may offer a coalition of ideas, views and perspectives that threaten to permanently change one’s frame of mind. So which of these three is Horus Rising by Dan Abnett? When I first learned that the Horus Heresy was going to become a new book series, I knew that it had to be something special. The worlds of Warhammer 40,000 have been devised and built around this one colossal event, that brought the Great Crusade to an end and started a darker age of decay. Anyone with any knowledge of the lore knows that this is a horrendously tall order. 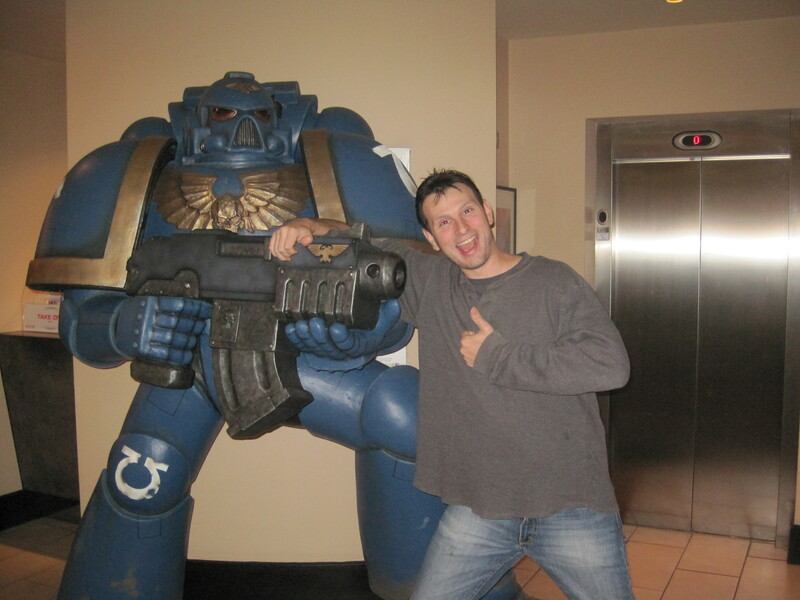 Warhammer 40k has been around for decades, and the hype surrounding this cannot be easily understanding among the fans. 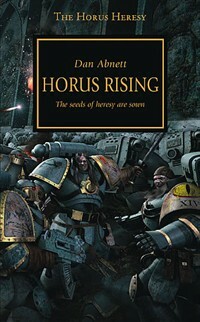 Horus Rising is nothing like the usual fare we get from the Black Library for many reasons. First, it’s a stage setter. Nothing major happens in the book, with the exception of a few tiny details that effect things to come. The entire purpose of the book is to set the stage for the rest of the Horus Heresy itself through the events of the Great Crusade and the politics and thinking of the time. Another great aspect, and the reason Horus Rising is a great tale, is the philosophies behind it. Throughout the Legions, Remembrancers (artistically minded historians) begin to try and captivate the the memories of the Great Crusade in their work, while Iterators pushed to spread the Imperial truth throughout the universe. Their stories add a missing human element that makes the book great, while at the same time shedding light on the world of differences between an Astartes and a human. Sindermann and thinkers like him separate this book as an intelligent, thought stirring piece from the rest of the pulp fiction out there. One might worry that my next phrase may give away plot spoilers, but like episodes I through III of the Star Wars trilogy, we all kind of know what’s going to happen eventually. But the book ends on an innocent seeming note when Loken casually admits that they are going to the moon of Davin. In my mind, I hear that mischievous oboe play three notes, a low, then high, then the same low one. Someone out there is up to no good. Books about Inquisitors are a different kind of beast. They are less about fighting and the clearly black and white themes we often see, and are more about the muddling grey, and adventures and discovery. 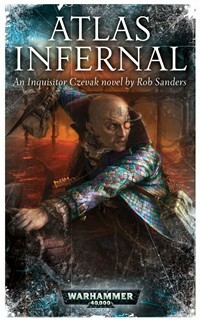 Audiences don’t see many books about Inquisitors, the majority of them coming from Dan Abnett‘s Ravenor and Eisenhorn trilogies. The rest of the time the Inquisition makes appearances on the side lines of other stories, adding to the intrigue while never really becoming the star of the show. For that reason, part of me worried if the book cover summary of Atlas Infernal by Rob Sanders gave away a little too much information about the plot. But personally? I suffer from the exact same problem when I describe my stories to other people. How much should I give away? I feel like I cheated a potential reader if I give away plot twists just to get them to read it in the first place. On the other hand, explaining very little of the story risks people putting it down without reading it at all. When I first picked up the book, I was tired and hungry while waiting for the bus to take me home. Try as I might, I got a few pages and put it down. I tried again after some rest and food, and this time found the book incredibly difficult to set down. It kept chugging along at a fine pace, mixing rest and illumination with the action and discovery. 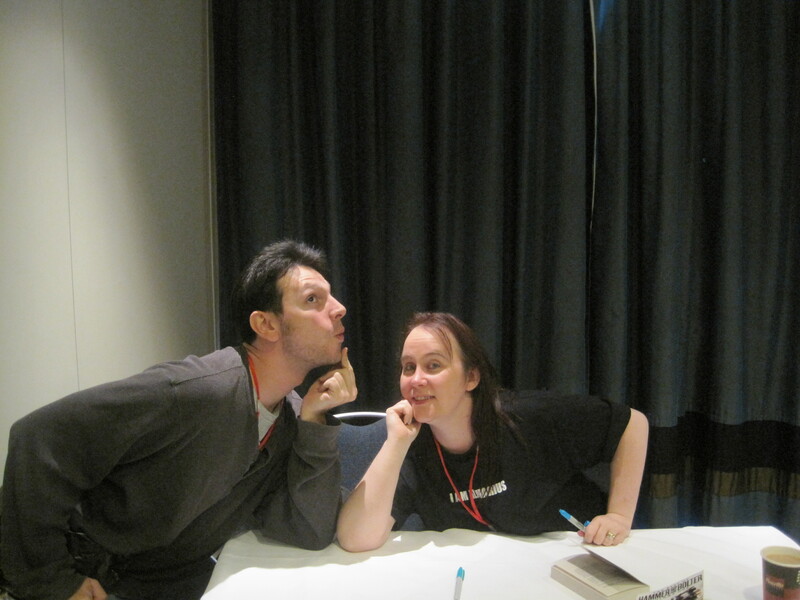 I found myself snappy when I had to set the book aside. I have to take a moment to laugh at two descriptions in the book that I found hilarious. About 99% of the writing was good, but that 1% was memorably bad. The first was “chunky bolter.” My peanut butter is chunky, my bolter is bulky. The second is when Rubric Marines are described as being “death defying silent.” That was a horrible description. The words may sound pretty but sometimes, they just don’t make sense. But I guess 60% of the time they work every time. The tale was addictive and imaginative, and in some ways the characters were and weren’t as well. Bronislaw Czevak, the main character, was an amusingly intelligent and eccentric man. But it wasn’t until I glanced briefly at other reviews that someone made a connection in similarity between Czevak and the famous Doctor Who. You see, I have rarely ever watched the good doctor although I have friends in both the United Stated and Britain who do, but from what little I’ve seen I have to reluctantly agree with the commentator who said as much. The other characters were much the same way. They were unique and likeable, but there were aspects of them that felt like templates built off of someone else. James Hoare over at SciFiNow mentioned that the characters felt like they had come from the codex descriptions published by Games Workshop. While I don’t like to draw from another reviewer’s words on the matter, the fact is that Hoare’s words proved nigh impossible to remove from my mind once he made the connection. Still, I found myself liking Father the servo skull and Saul Torqhuil, the Relictors Tech-Marine and the rest of the cast, despite any building blocks that Sanders may have relied upon. As the book came towards it conclusion, I found myself looking back on old sections again and again, trying to draw some connections that I may have missed. I surmised I knew what happened. But I felt like between Czevak’s induction into the Black Library and his reappearance among the Imperium, I missed something. Because the story is told out of order, there is some mental chronological restructuring that any reader has to partake. In conclusion, despite the weaknesses in the book, I find myself hungering for a sequel. Not a trilogy, mind you. It’s very possible that if another book is written, Sanders could overcome the weaknesses in his characters and that side splitting 1% of bad descriptions. But if the second book is worse than the first, I probably won’t bother with a third. So let’s say you’re new. You want something that is considered a classic, a must read. Something that despite being years old, you can always find fans who are excited to talk about it. And just for kicks, let’s say you don’t have too much money to spend. Well, for the latter problem I would advise you to check out the omnibuses. Usually these crunch three books down into a single, massive book and then add a short story or two for a price range of about $15. That’s pretty solid value. If you’re willing to get it used, you can even get it for less. 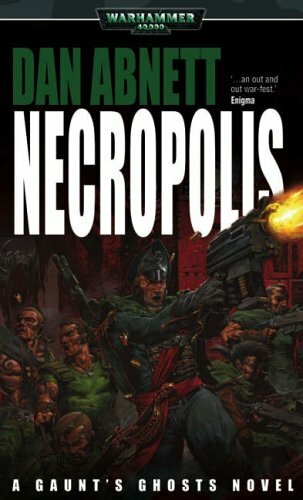 As for the former issue, I’d advise you to read almost any of Dan Abnett’s older stuff. But in particular, to read The Founding. 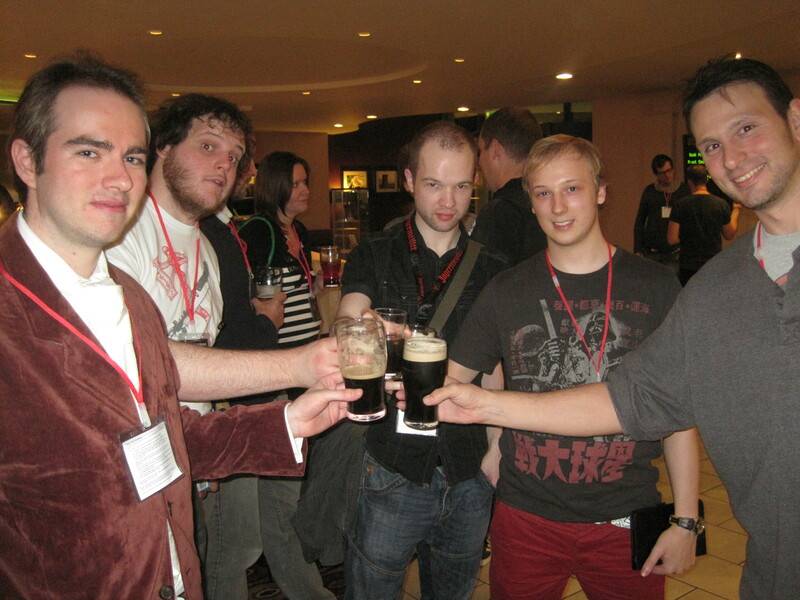 True to its name, The Founding is about the creation of the first and only Tanith Ghost regiments. The series spans more than a dozen novels with no signs of stopping anytime soon. It would be a little difficult to jump into the series mid way because many stories relate back to one another sooner or later as well as a very large cast of characters to meet. Let’s talk about the setting for a moment. The story takes place in the midst of the Sabbat Worlds Crusade in the Segmentum Pacificus, located ‘south’ of Terra. For an idea of where that is, check out this 40k star map and look below Terra. To bring you up to speed, Chaos has taken a vested interest in the region, which has resulted in a very, very long and ongoing war. Being an extremely large chunk of the Imperium at stake, a lot of the war is fought man to man. You won’t see too many Space Marines of either variety, because even the application of the Astartes, though welcomed, would not immediately turn the tide of war. Instead, most of the war is a meat grinder for the Imperial Guard and the Lost and Damned Legions. It's rare that the third is the best of a trilogy these days. First and Only, the first book of the trilogy, discusses the regiments founding while also explaining some of Commissar Gaunt’s family baggage. The second book, Ghostmaker, is completely different. Instead of the usual story telling method, Ghostmaker is an anthology of short stories about important individuals within the Ghosts. These stories eventually tie together into the final arching plot. This is actually my least favorite of the Gaunt’s Ghost series, but it’s still decent. But Necropolis, the third book, is my favorite. 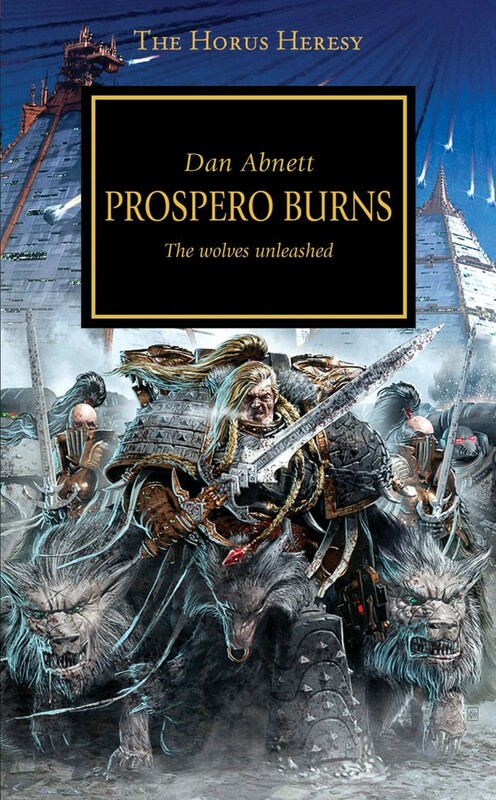 In my opinion, it is the best of the Gaunt’s Ghost series in general and one of my top stories not only among what the Black Library publishes, but also among all the books I own. Necropolis takes place in a hive city under siege by one of its neighbors. At first, the nobility believe the war to be another trade war with their neighbor Ferrozoica Hive city, things turn sinister when the hand of Chaos is clearly at work. Reinforcements and aide are summoned from the Imperium, resulting in the Tanith regiments appearing alongside several allied units. The rest of the story weaves back and forth from the individual struggles of squads and their characters to the behind the scenes politicking and the fight to keep morale up against the sheer hopelessness of the situation. There are times when the story reads like a very dramatically told historical piece, mentioning the sacrifices made for victory. As you read, your mind just cannot help but to play dramatic music. 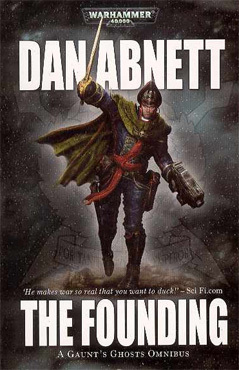 So if you’re fresh to the world of Warhammer or an old hand looking for a classic to reread, turn to the The Founding.